Today we will display here smart way to take backup of your iPhone photos and videos without Apple iColud. 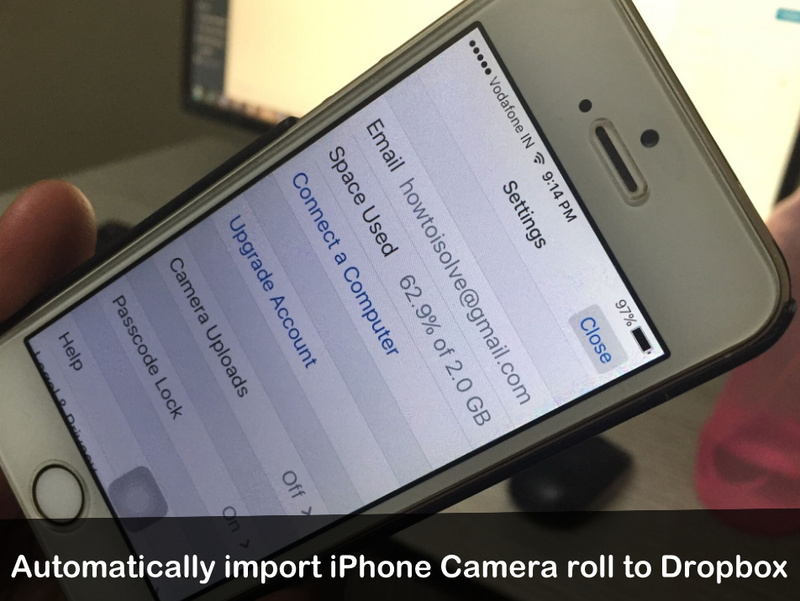 An alternate way for backup iPhone camera roll, for that you need to follow here described instructions about automatically import iPhone camera roll to Dropbox. For individual free basic users, Dropbox gives 2GB free cloud space, while premium users have to pay $9.99/ month for 1 TB storage. In addition, Dropbox web base all features available on Apple iPhone App. therefore, if you have own iPhone and want to take backup of photo library though you can save your iPhone photos and videos on Dropbox very easily through Wi-Fi or Cellular data. Step 1. Launch Dropbox app on your iPhone home screen. Step 2. Hit on Recents left-bottom side on the screen. Step 3. Touch on Gear icon left-top side, you can see in given screen. Step 4. Tap Camera uploads and make enable Camera uploads. So your Wi-Fi connected iPhone’s all photos of camera roll will happen automatically upload. You can terminate/ pause camera upload any time whenever you wish. Furthermore, if you think to take backup of iPhone camera roll Videos then turn Upload Videos. To save cellular data plan. 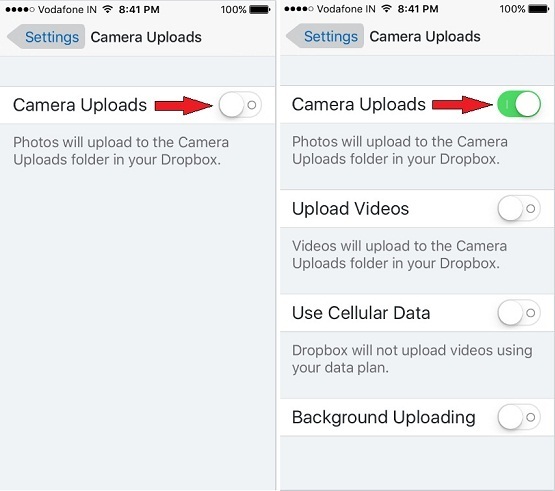 You should use only Wi-Fi to upload/ automatically import iPhone camera roll to Dropbox. You might also appear background uploading option, it’s nothing but it keep continue to import photos and videos procedure under the iPhone background condition. 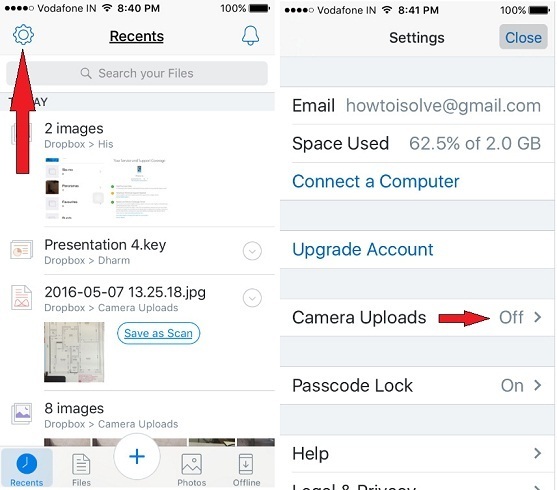 So above was the entire method to automatically upload iPhone camera roll to Dropbox. If like this way, please share it in your social media and be helpful to your friends, colleagues. Stay tuned up to get more tips and tricks for iOS 10, macOS Sierra, Watch OS and tvOS.